Just when we thought we were done chronicling the exploits of the founders of PayPal, the online payments service used by eBay, here’s another one. 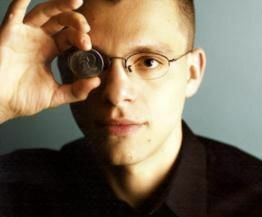 The piece is best for the anecdotes about Levchin’s Ukranian roots, how he linked up with Peter Thiel in the early days to start up the precursor to PayPal (later sold to eBay for $1.5 billion), and how he’s an obsessive worker. The main idea, Levchin says, is to organize the Internet’s vast array of information into something like the tickers that stockbrokers rely on, or the news crawl across a cable TV channel. It will make money by including some sponsored pictures in the crawl.